A key ingredient in hot sauces and great for cooking, McCormick ground cayenne pepper will kick up the heat of anything you make! 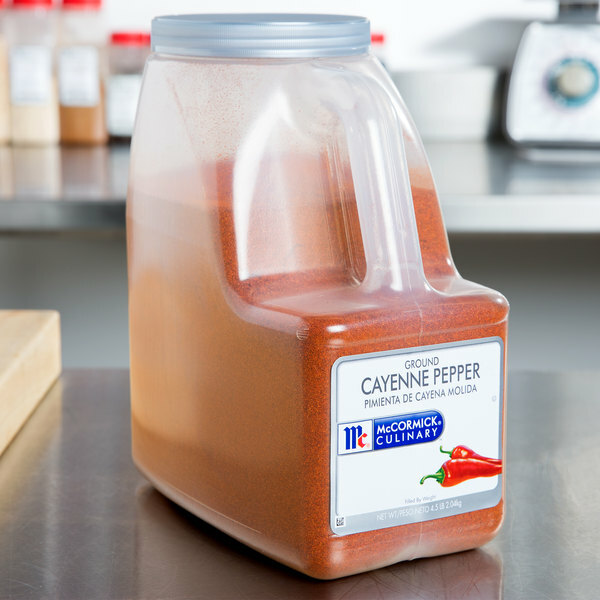 Sometimes labeled as "red pepper," cayenne is ground from a blend of several particularly hot varieties of dried red chili peppers. It has a characteristic bright orange and red color and fine texture. Its extremely hot and pungent flavor will add plenty of zest to barbeque, meat marinades, and buffalo wings! Try adding ground cayenne pepper to salsa, avocado dip, and taco and enchilada sauces for an extra pinch of flavor. Spice up your tartar sauce or vegetable dips and dressings, or make your own South-of-the-Border style omelets with tomatoes, onions, and pepper. McCormick is a name you can trust to deliver high quality spices every time. Compared to bulk bags, this 4.5 lb. container provides a good supply of product and is easily accessible for your cooking and seasoning needs. Use McCormick to create and enhance masterful flavors in all your best dishes. Overall User Rating: McCormick Ground Cayenne Pepper - 4.5 lb. A really nice ground cayenne pepper that is bold and spicy. Great for adding to our jambalaya. We love everything about the McCormick brand of spices. 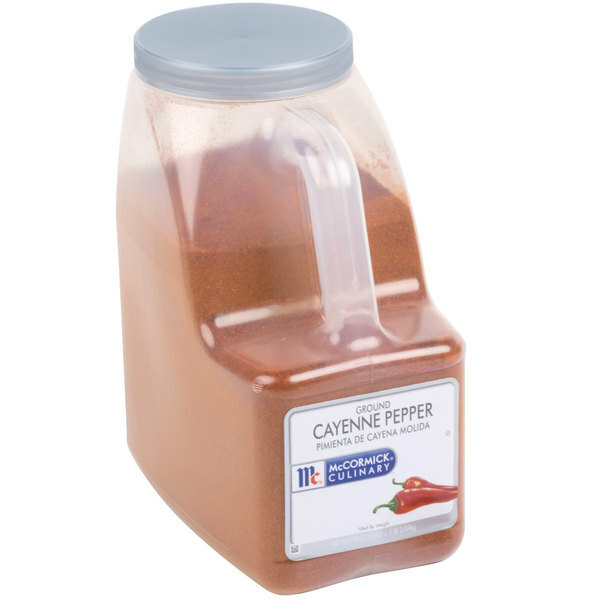 The McCormick ground cayenne pepper is a wonderful quality and the perfect amount of heat. A great way to kick up our chili and stew. This McCormick ground cayenne pepper adds a little heat and lots of flavor to so many dishes. i love keeping this spice in my pantry. Cayenne pepper is great in just about everything. I mainly put it in my soups to add a layer of heat to the broth. Delicious!